Prior to launching your book, you’ll want to set some realistic, achievable goals against which to measure your success. Then, you’ll want to implement tactics to work toward those goals. The satisfaction of our client. Ultimately, I want to be sure my clients see our efforts as successful and worthwhile. So the metrics I choose for each launch will be set with and on behalf of the client. If my clients are happy, if our efforts on their behalf exceed their expectations, then I feel successful. The amount of buzz we generate on social media channels. Though we could measure this in many ways, I typically measure by choosing a hashtag to use on Twitter for each launch. Then, I carefully monitor the hashtag. How many people are tweeting about the book with our hashtag? I want it to seem like everyone is talking about our books during launch week. If I see lots of different avatars (not just mine and the clients) tweeting out the book, I consider that to be tremendous buzz. The number of blogger sites that review the book or host a book related post/guest post. This is very important for several reasons. There is great search engine value in many bloggers featuring a book. More than that, each blogger has a unique audience to reach. The more bloggers we get involved writing a book during launch week and beyond, the greater potential audience we are creating for our books. Book sales. 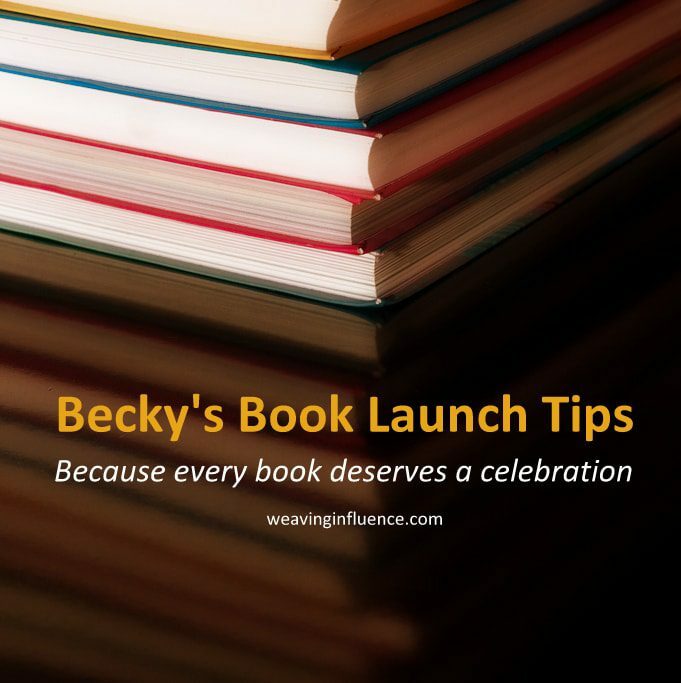 Ultimately, most of our clients will judge the success of our launch on the number of books they sell, not only in the first, critical week but in the many weeks and months after launch. We want strong sales in the first week to create momentum moving forward, but the first week is really just the beginning of a much longer effort to market a book. Amazon reviews. Amazon reviews are important and we track and count them. We like to see many positive reviews for our books within days of their release on Amazon to provide social proof of the value of the content. Amazon ranking. Amazon rankings are fickle because your book is judged against the sales of other books. Depending on how many other books and what high profile books launch during the same week as yours, your book may rank higher — or lower. And though people speculate and calculate, no one knows exactly how many books you must sell on Amazon to achieve best seller status. Despite that, I find myself addicted, during launch week, to checking the statistics on our books. I am happy when our clients’ books rank high in their categories and even happier when their books rank high over all. Advertising effectiveness. This is a new metric for us, as we are using Facebook, LinkedIn and other advertising to encourage sales and create additional buzz for our books. If our ads get high numbers of impressions and click throughs, I count that as success. Tell me something! Which measures do you think are most important? What other measures would you consider? My team and I are in the midst of a very successful launch, by all the measures I listed, for Leadership and the Art of Struggle, by Steven Snyder. It’s a book I highly recommend for anyone who struggles (read: everyone.) Buy a copy, today! Becky, thank you for sharing your thought process; it is interesting to get insight into what you look for and how you know you have succeeded. As a blogger who isn’t solely “business” and isn’t solely “mommy,” it is reassuring to know that my audience is valued! Yes, Paula. I find every audience important. Every blogger has their own circle of influence, and every post makes a difference. Thank you for being a part of our community and taking your precious time to share insights on books!